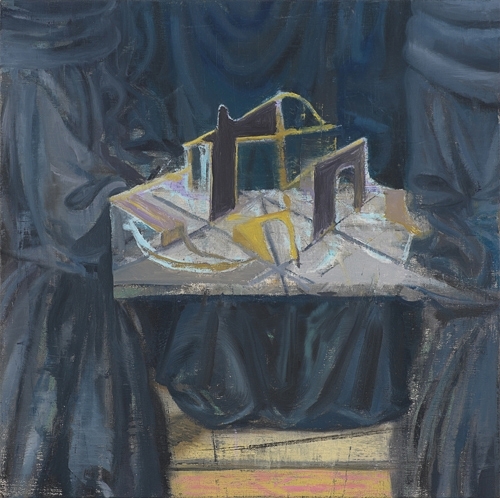 Michael Berryhill, a painter who still values a good struggle in his work, has several fine small-scale paintings in ‘Monkey Wrench,” a group show at Horton, through July 22. 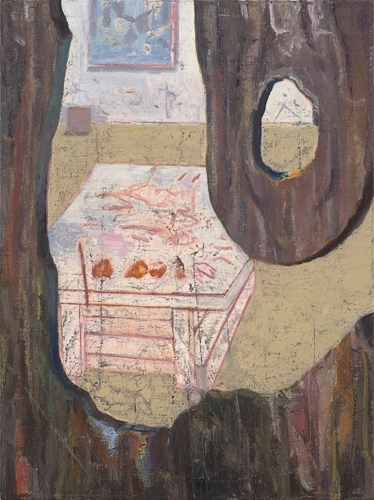 Heavily worked and overpainted (in a good way), the paintings depict tabletop objects in the studio, some of which are identifiable, and others which aren’t. Although painters are going through a period in which contingency and ennui are hot, I predict that struggle and tenacity may be right around the corner. 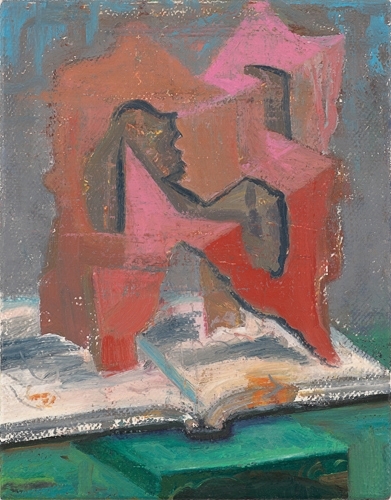 In a NY Times review of his 2009 solo show Karen Rosenberg wrote that Berryhill’s paintings were uneven. “Some are worked to within an inch of their lives, while others look as if they were plucked half-formed from the studio.” In 2011, the inclusion of both types of work might have a different interpretation. 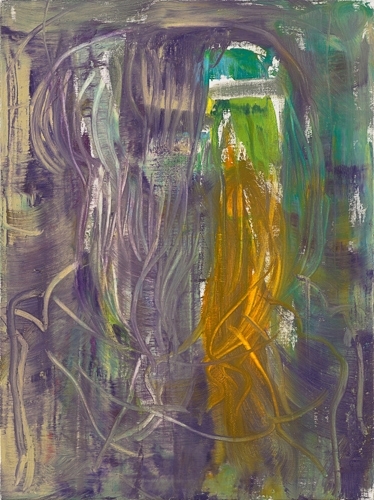 Perhaps part of Berryhill’s process has always involved questioning the struggle to resolve his canvases. 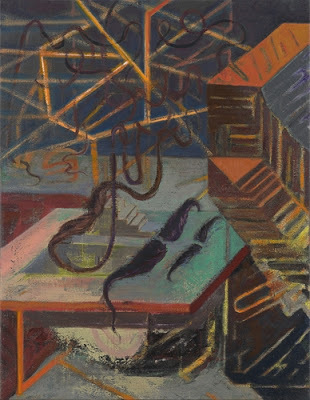 “Monkey Wrench: Michael Berryhill, Stacy Fisher, Hilary Harnischfeger, Sally Ross, Kate Steciw, and Wallace Whitney,” Horton Gallery, New York, NY. Through July 22, 2011. As a painter, I find that if something comes too easily, I'll scrape it off because it's like it didn't happen. If there's no struggle, it feels too much like an application of a "style" rather than a search for something. Thanks for introducing me to this painter. Yes, thank you for the introduction of this painter. And, I completely agree with your statement, "Although painters are going through a period in which contingency and ennui are hot, I predict that struggle and tenacity may be right around the corner. " This painter really do his assignment. Good work! It is very nice to see paintings that are termed "uneven".